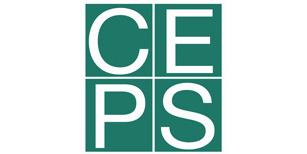 CEPS returns as the knowledge partner of EBS 2018! Although our primary mission is to bring politics and business together this could not be achieved without the support and expertise of some of the most esteemed European academic institutions. We are happy to announce that the Centre for European Policy Studies will once again join EBS as our knowledge partner, this time taking part in the organisation of our roundtables on artificial intelligence and innovation. Moreover, doctor Andrea Renda - Senior Research Fellow and Head of Regulatory Policy at CEPS - will join the panel of speakers for the AI session on May 24.